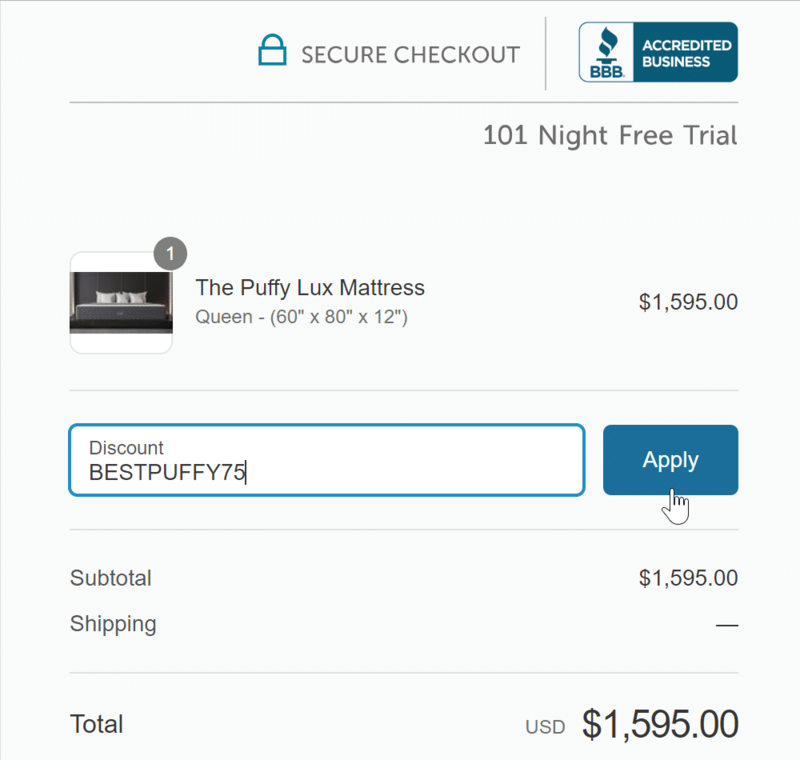 Head over to Puffy and select the size Puffy Lux mattress you would like for your bedroom, then click ADD TO CART. On the left of the Checkout screen, below the items to be purchase, is the Discount bar. 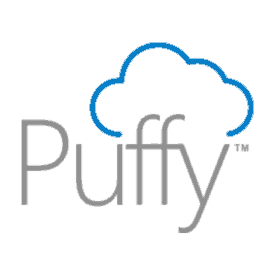 Enter the promo code BESTPUFFY75 in the discount section and click Apply. That’s it! 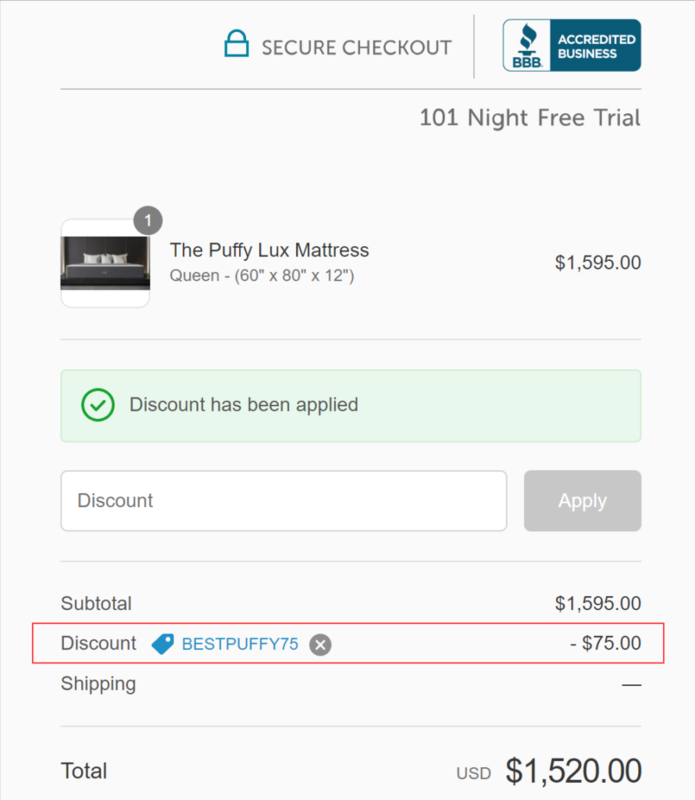 All you had to do to save $75 on your purchase of a Puffy Lux was to use the code BESTPUFFY75! Now you can rest easy knowing you got a great deal on you Puffy Lux mattress.